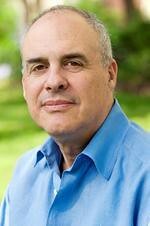 Mark Bittman has a terrific editorial out in the New York Times regarding a resolution for 2013 to begin fixing our food problem. The article is well-written, short and a bit inspiring. I thought I would share it with you as I find him to be one of our Sole-ful People! You can find the entire article HERE (if the links are working–if not, I’m posting the full link below). The more we learn about our food system, the more important it is for all of us to expect something better. An association between tobacco and cancer was discovered more 200 years ago. The surgeon general’s report that identified smoking as a public health issue appeared in 1964. The food movement has not yet reached its 1964; there’s isn’t even a general acknowledgment of a problem in need of fixing. Clearly, we have a long way to go, but every journey begins with a single step and the perseverance to keep moving forward!